As I sat in Anthology in Rochester, NY waiting for Victor Wooden to speak with me I had no idea what to expect. The crew setup the stage across the room to get everything ready for the upcoming soundcheck, but there was no sign of Victor. I sat and pondered how different the room would be in a few hours once it was filled up with enthused fans, and enjoyed the calm before the storm on the large, open dance floor. Victor walked in the front doors the same way I did, with a cup of coffee in his hand and a sigh of relief escaping the cold. Without hesitation he walked over to me, asked if I was conducting the interview, smiled and shook my hand as he introduced himself (as if I didn’t know who he was). Ryan Randazzo: You recently released a new album, Trypnotyx, what inspired you to assemble this particular group of musicians to record this album? Victor Wooten: I played with these two guys, together, with a jazz guitarist named Mike Stern. Immediately I knew I’d love to do some of my own music with them, so the germ of the idea started years ago. With everyone’s schedules, the time was now right to do it. RR: When you recorded this album what was the process like? Was it different from other projects you’ve worked on or recording with the Flecktones? VW: A little bit different from the Flecktones, but very similar to recording my own records. A lot of it is me in the studio by myself working on ideas, then sending them to the other guys to add things to or see what they think. Bob Franceschini, the saxophone player, was doing the same thing; he was coming up with ideas as well. With the Flecktones, we do a lot in the studio together, but because of Bob and Dennis Chamber’s schedules, a lot of it was separately done. Mostly the writing, then we would get together and get parts recorded. RR: It sounds like technology has made it a lot easier to get things done. VW: Absolutely. Technology is amazing these days. I would say even more than not, records are done separately. At least for me, it’s rare that I’m in the studio with the whole band. RR: Do you prefer recording separately? VW: In many cases yes because then I can record on my own terms in my own studio. I can go up and have dinner with my kids then go back down to the studio. Also, I can take my time getting my parts together rather than having to work on someone else’s stuff, but I like both. There’s nothing like having other people in the studio to collaborate with. RR: Playing with the trio requires you to fill a lot more space. Do you prefer playing with the trio or a bigger band, and what are some of the differences you’ve noticed as a bass player? VW: I’m lucky to play in many different situations. I like them all. When the band is bigger I have to do less, which is nice. With a trio like this, and there’s no chordal instrument, I have to do more like playing chords and melodies, but the challenge here is to not feel like I have to fill up all the space. Space is beautiful and it’s easy to go “oh it’s a trio, I better play more.” Sometimes it’s playing less that allows the trio to sound its best, so it’s a challenge. RR: What do you typically prefer? VW: I just like choices. If I did one thing all the time I would long for the other. The fact that I get to do a lot of different things keeps me musically happy. RR: As a well-respected musician, who do you look up to at this point in your life? VW: I have lots of heroes. There are lots of guys I learned things from growing up. I could name the normal names like Stanley Clarke, Jaco Pastorius, before that even James Jamerson, Bootsy Collins, Larry Graham, Paul McCartney; I could just go on. Also, people that I grew up with, and they’re names you’ll never know, that taught me just as much because they helped me grow as a youngster. The biggest influences were my four older brothers. That’s the whole reason that I played. I was born into a band, literally. They all played different instruments. Regi plays guitar. Roy aka “Future Man” from Bela Fleck and the Flecktones is a drummer. Rudy, the lesser known of the brothers, passed away a few years ago and was our saxophone player, and Joseph is the keyboard player. Joseph has been touring with the Steve Miller Band since 1993. We played as a band the first half of my life. RR: Do you have any particular mentor or a go-to person you like to bounce ideas off of? VW: My brothers are still those mentors. I also have a few other friends. One guy names Steve Bailey. Steve is now the chair of the bass department at the Berkeley College of Music. Another close friend who lives in upstate New York, Dave Welsch, he’s another bassist and teacher. 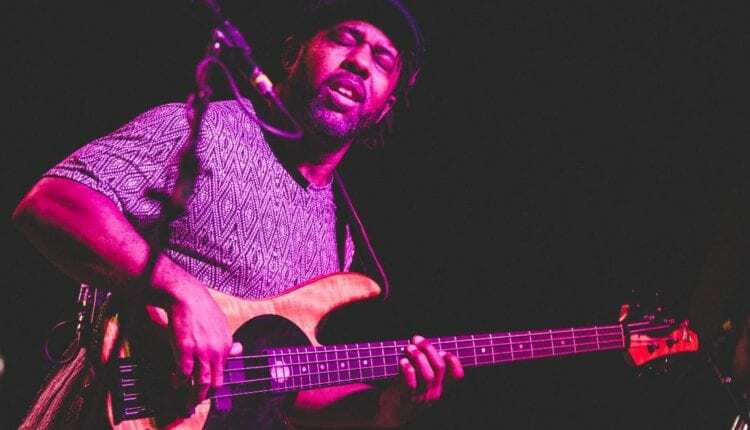 Anthony Wellington is another great bassist and teacher. Steve, Anthony, Dave and I have been teaching together at my own music camp since the year 2000. We always keep in touch with each other to bounce ideas and teach together. Then I’ve got my brothers, and it’s always good to have people like that close. RR: What is the biggest challenge you faced as a growing musician, and is it something you still encounter today? VW: Today, my biggest challenge is finding time at home with my kids and my wife. Because I’m successful at what I’m doing, it keeps me on the road a lot of the time. I miss my kids and my family, and they miss me. That’s really the biggest one. Another one is to try and sell a record. We’re in the record making business, but people don’t buy many records these days. The younger generation expects the music to be free, and that doesn’t make it easy for us. People aren’t buying as much music and they’re not going out to see as much music, but they still want music. As a music maker we face that challenge. For a lot people, if you come to town they have a choice to watch a video on YouTube or go see a show. They can say “I’ll watch it tomorrow” knowing that someone is going to record it. Back in our day, we didn’t have that choice. If someone was coming to town we were there. We didn’t know when or if we would see that person again, so it was a special event when someone came to town. It’s not as special for the young audience anymore. At the same time, I’ll add this: our generation was different from our parents. Every generation changes. I don’t want to be the old guy complaining about how good it used to be. I want to learn the new way and figure out how I fit into it rather than complain, but at the same time make changes and fix things where we can. RR: Do you have any daily or pre-show rituals that you do? VW: Nope, none at all, except to try to be open, calm, and in a good mindset. I have to not be worried or frustrated, and just be calm so the music can flow. I don’t have anything I normally do every time, because if for some reason one day I can’t do it I might get upset or worried. The way I look at it, I’ve been playing bass for about 51 years. I should be ready and warmed up by now. RR: You’re currently playing with your trio and you’ll be going on tour with Bela Fleck and the Flecktones over the summer, what’s the biggest difference you’ve noticed playing with the two bands? VW: The biggest difference doesn’t have a lot to do with playing. This band has my name on it, so I have way more responsibilities. With the Flecktones, even though Bela treats all the members equally, I’m still just the bass player. There is a lot less responsibility. That’s nice after coming off many months of being in charge, for lack of a better word. It goes back to me having choices. I like doing my own thing, and I like not having to do my own thing. That’s the biggest difference. The music is different, of course, but it’s fun. Each project is very fun musically, and I really enjoy both of them. RR: You’ve been really big on music education over the years. What inspired you get into that? VW: It kind of found me in the late 80’s and early 90’s when Bela Fleck and the Flecktones started becoming more popular. I started becoming more and more popular, and was featured in Bass Player magazine a lot. I found out that if you’re in there enough times people think you must be good, so I started getting asked to do workshops. I had to figure out how to teach what I did. I just learned to play organically, the same way you learn to speak. When you learned to speak you didn’t practice, and no one told you what words to learn first, you just jammed with people all the time. You jammed with people who were better at it then you, and it was the same way I grew up playing the bass with people who were better than me. That’s the fastest, most natural way to learn. When I started being asked to teach I had to learn how to do it. One of the things I did was start looking at other teachers, and what/how they were teaching. I saw things I liked, but I decided to go a different route. I decided to teach the things that weren’t being taught. Basically, it was anything other than the twelve notes that we use. Most people were teaching twelve notes, and we call that music theory. Music theory, for the most part, only deals with twelve notes and focuses on scales, chords, key signatures, harmony, ear training, and what not, but no one dances to notes. No one jumps up just because a song is in E flat. So what else is there besides notes? That’s what intrigued me, so I started focusing on mostly that. It resonated with a lot of people, and they were asking for more. That’s what resulted in my book called “The Music Lesson.” Many of the lessons I came up with were put into stories. RR: You’ve played with many people over the years, but is there any particular jam or event that stands out in your mind? VW: There are a bunch, yeah. Last December, almost a year ago from now, getting to play with Chick Corea for a couple of weeks in a couple of different bands to celebrate his 75th birthday. I got to play in two of those bands, and it was amazing. In one of them I was playing the upright bass, which is not something I do much, but he called me in to do it, so I said okay. Opening for the Grateful Dead was amazing. I’m not the biggest fan of their music, but I am the biggest fan of them. To open for such a legendary show like that on New Year’s Eve was great. From that spawned me playing with bands like Dave Matthews Band, Phish, and getting to play with all of those kinds of bands. 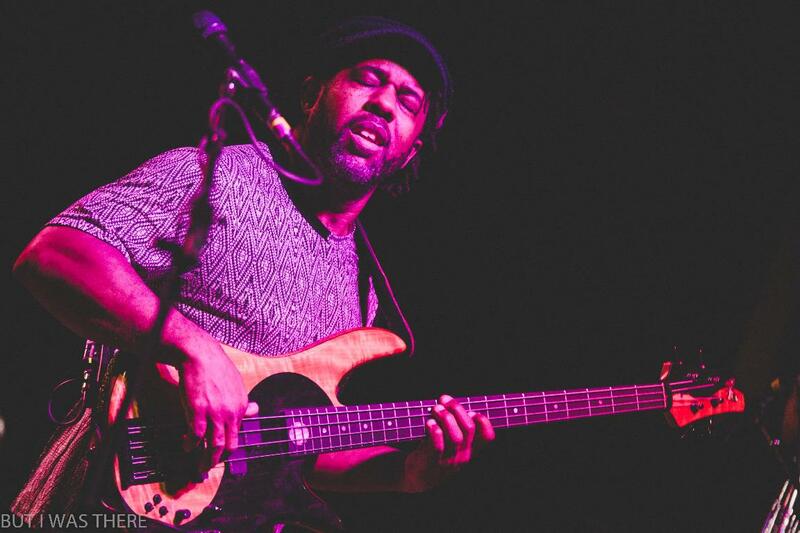 One of my favorites was getting to play with two of my bass heroes Stanley Clarke and Marcus Miller. We made an album together titled ‘SMV.’ A lot of times getting to play with my heroes is the biggest treat. But growing up playing with my brothers, and getting to play with Bela Fleck for almost 30 years now, those things are just as special. Honestly though, the most special gig is the one I’m doing next. All the past ones are just warm ups, training ground, for the one I’m about to do. I need to treat the one I’m about to do as the most special gig ever, or else I feel I’m not giving the audience the full experience they deserve. So really, the most important gig is the one I’m doing or about to do. RR: What advice do you have for young musicians? VW: Listen. The same way we learn to speak is by listening. Play more than you practice, find people to jam with, go to hear music, and learn as much as you can, but don’t let learning about music rob you of the enjoyment. RR: It sounds like this trio is something you’ve wanted to do for a while, are there any other projects you’ve been thinking about that you really want to do? VW: Oh yeah, lots. One is an acoustic album featuring different acoustic instruments and an acoustic bass. I still have a plan for that. I also want to do a tour with students from my camps, which would be a lot of fun. I usually stay in touch with many of my students, and they make sure of it. They show up at my gigs, and find me on Facebook. Many of them are out doing major gigs themselves. I have a lot of projects and records I want to do. I still want to do a record with my three remaining brothers, and we’re actually recording something right now. RR: Is there anything else you’d like to say to our readers? VW: Just to let people know they can go to my website and sign up for my camps. We’re about to start our 19th year, and it’s easy to register. Either go to www.VictorWooten.com or you can go straight to the camp website, www.Vixcamps.com. 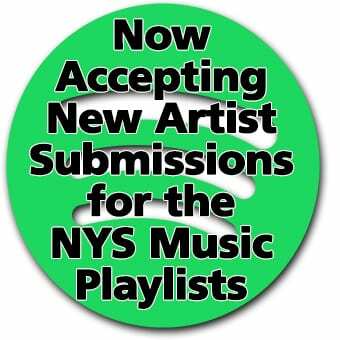 You can just go on and sign up, no audition is required or anything like that. RR: You have a very large group of students with a very diverse span of knowledge, how do you handle that? VW: The same way you learn to talk with other kids. You learn much quicker when you talk to people who are older. We apply the same idea to our camp. It benefits both the beginner and more advanced players. For the more advanced players, it allows the people who are stuck to see beginners learning their craft and it inspires them. The most difficult part about that, for me, is finding teachers who are comfortable teaching a group whose ranges of knowledge are so different, and fortunately I’ve found those people. Our camps our different. I wouldn’t say they’re better, but they’re different. It’s located just outside of Nashville, TN and people can fly in and take a shuttle out there. It’s all inclusive and there is a chef onsite. I’m there 100% of the time, so the mystique of “oh there’s Victor” goes away after a couple of days, and we just become friends. We stay up late, jam by the fire, and get deep into music. It’s a good dream come true for me.